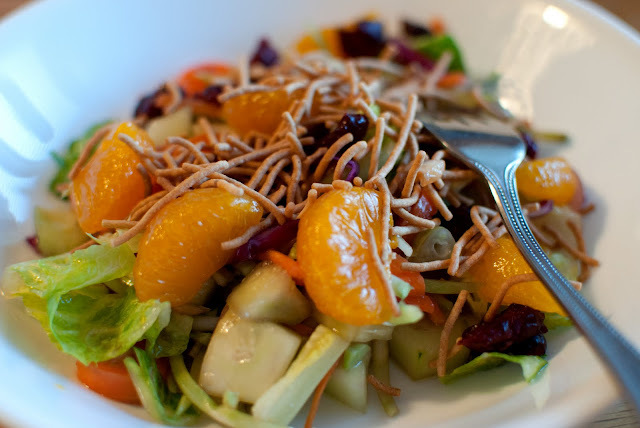 Salad is a great lunch or dinner party dish. Assemble the items ahead of time and toss together when ready to serve! 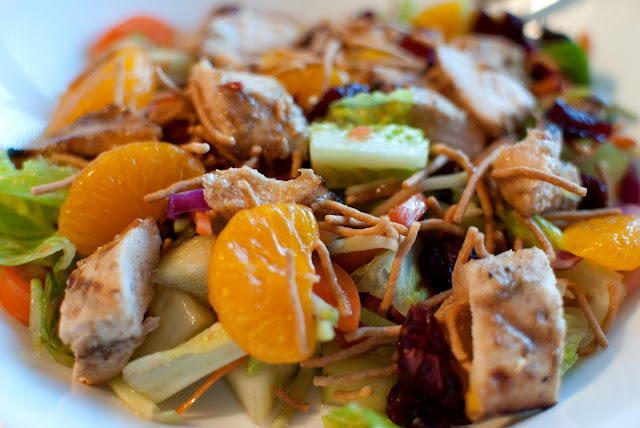 This salad is a recreation from a local restaurant, Pack's Tavern, that is my go to menu item there. While the recipe has a few components, it is WELL worth the effort! Combine all together and pour over chicken. Marinade for at least an hour - I let mine "swim" for 4+ hours. I added some "pickled" onions - recipe to follow - this adds that small component to the dressing that makes everything super yummy! Broccoli Slaw - you know, the one in the bag??? Uh huh! Chinese crunchy noodles - the ones from the can? Oh so yummy. This works for any onion, but I used a red onion. Slice the onion very thinly and place in a bowl of vinegar and sugar. Let "pickle" for at least ten minutes. This takes the harsh 'onioniness' away - yielding sweet & tender onions! Grill chicken. Cut into pieces. Add all items to big bowl and toss when ready to serve! Enjoy, friends! Here it is pictured without chicken, making it a vegetarian winner! Do you have a go to salad recipe that can be served for lunch or dinner as a main dish?? Catch up on the days past below! I love Thai food! I may have to try this. Looks yummy!! Coming over from the Somewhat Simple link party. Looks so yummy! I had to share! !